Hello again! It's me, Stevie Cartwright, ex-witch and new Madam Zoltar. I was fresh off the murder-suspect list and just settling into Madam Z's psychic medium shoes - with the help of my bat familiar Belfry and spirit spy Win - when another death rocked sleepy little Ebenezer Falls, Washington state. Tito Bustamante, my beloved purveyor of mouth-watering Mexican munchies, has been found dead in the food truck court. Rumor has it that Tito was stickin' his chimichanga where it didn't belong, and my gut - not to mention his less-than-natural death - says murder. No one is above suspicion. Not Tito's own wife and daughter, not his arch food truck enemy Jacob, and certainly not the son Tito didn't know about, newly arrived in Ebenezer Falls and getting cozy with my hired help. Do join me (and try not to point and laugh) as I juggle catching a killer, snooping for clues about Win's previous life, gabbing with and eavesdropping on the locals, and enduring a visit from my very unwelcome, very annoyingly gorgeous ex-coven leader - all while continuing to adjust to my new witchless existence. 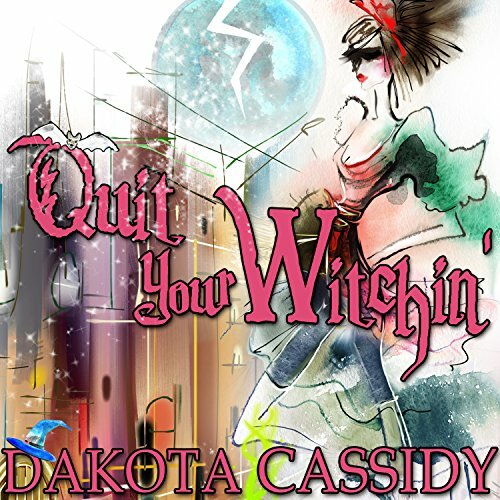 Quit Your Witching is the second book in Ms. Cassidy’s new Witchless in Seattle Mysteries series. I enjoyed this book just as much as book one if not more. In QYW we get to learn more about Stevie and Win. My heart broke at the very end of this story. I am anxious to see how Ms. Cassidy solves this mystery. I am very much looking forward to the next installment in this series. But I am getting ahead of myself here. In QYW Stevie, Win & Belfry find themselves yet again in the middle of a murder investigation. I love that Stevie is so determine. Even if at times she is completely careless. But with Win on her side and Belfry in her corner I am not sure that there is anything that Stevie can’t handle. Can’t wait to jump into the next installment in this series. 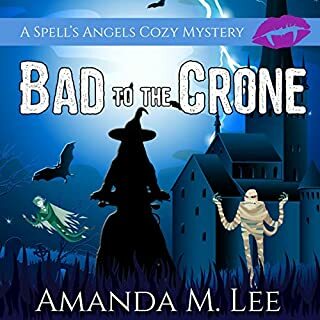 Have you checked out Stevie, her familiar Belfry and her smexy ghostly British Spy Guy? You should. 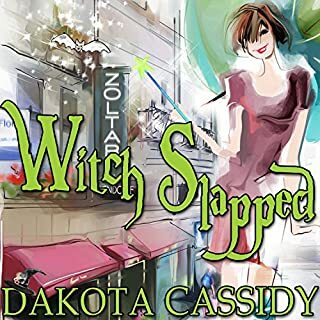 Go pick up a copy of Witch Slapped and see how this ex-witch handles being non-magical for the first time in her life. 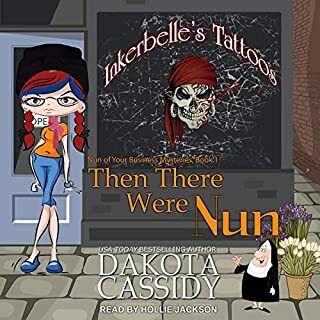 I received a complimentary copy of this book from Tantor Audio in exchange for an honest review. This review is my own opinion and not a paid review. light and airy, like one of those supernatural TV shows. Not too demanding on the intellect, but a nice way to pass the time. I listen to it in the car, or around the house. I'm having a lot of fun listening to this series. I really like the narrator,she has a way of bringing it to life! All the talks between Stevie and Wyn would be very different on paper. Great story. Better than the first in series. Going on to number 3. Can’t wait. What made the experience of listening to Quit Your Witchin’ the most enjoyable? the second in the series. I purposely bought this book because i liked the first book so much. the reader, Hollie Jackson, does a great job of keeping each character separate, yet holding the story together. What was one of the most memorable moments of Quit Your Witchin’? I have to say, i loved the new puppy because it really brought out the characters of both Jax and Win. She really does a great job of the differing emotions. yes! but i had to go to sleep for work in the morning, darn! This book is just as if not more hilarious than the first. Dakota has an amazing sense of humor that shows in her characters. "A bum. Bum!" I was laughing all the way through. I can't wait to start the next. 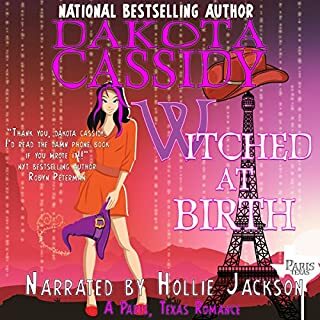 Hollie does an amazing job with the charcters.. the same voices through both books.. it really makes you feel as if your right there listening to the conversation..excellent narration..i absolutely adore her.. as win would say "jolly good show"
Fun. Love the characters. Enjoy the banter between them and the way they all care for each other. What did you love best about Quit Your Witchin’? I didn't love the first book but this series gets better. 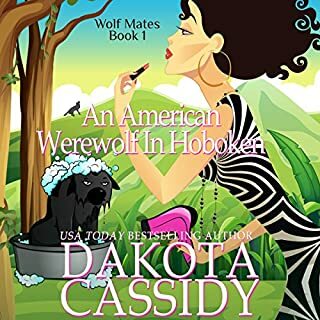 It's still not my favorite of Dakota Cassidy's but I love her so I'm still reading. The performance by Hollie Jackson is great. The story is good and the characters are lovely. Love the characters and the snark! 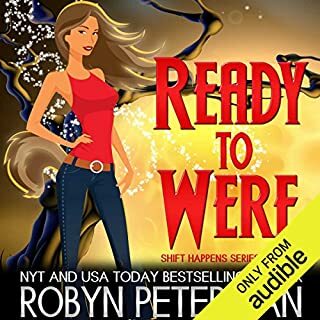 I hope she continues to write cozy series, my new favorite cozy author. I am glad she crossed over! This series is the best yet. Great off beat characters that are truly charming. Can't wait for the next book!